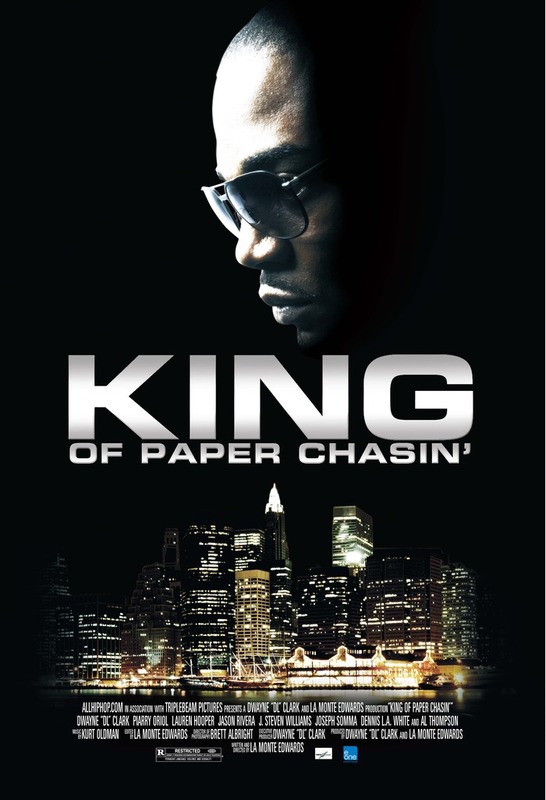 Taking a page from the modern method of financing, King of Paper Chasin executive producer has opted to use a kickstarter program to fund the sequel. Triple Beam Entertainment is proud to announce the start of production for the long awaited sequel to the film "King Of Paper Chasin". Executive producer Dwayne "DL" Clark has decided to venture into the newest paradigm of filmmaking combined with social media as an alternative to traditional film financing. Triple Beam Ent is humbly asking for support and assistance in making this film a reality. Successful actors and directors such as Kristen Bell (Veronica Mars), Zach Braff (Scrubs) and most recently Spike Lee have utilized this platform to seek funding. The Veronica Mars project successfully raised $5.7 million, Zach Braff raised $3.1million and finally, Spike Lee has raised over $500k in the first 10 days of his campaign. To view the kickstarter page and donate $5 dollars, please click the preview link at the bottom. Please take the time to review the "King of Paper Chasin" funding page and pass it along to anyone who may also be interested in supporting the campaign. Cast and crew of "King of Paper Chasin" would like to thank everyone in advance for supporting the film and look forward to bringing fans a phenomenal movie.